Kia Sportage Performance, Engine, Ride, Handling | What Car? We used to recommended going for the 114bhp 1.7-litre diesel engine with front-wheel drive, because it was gutsy enough while being affordable to buy and run. However, this has been replaced with a new 1.6-litre diesel unit, also with 114bhp, that we have yet to try. While the 114bhp engine is only available with front-wheel drive and a manual gearbox, there’s a 134bhp version of the same engine you can choose with four-wheel drive and an automatic 'box. Once we’ve sampled both of these new 1.6 units, we’ll let you know what they are like. If 134bhp is still a bit weak for your liking, there’s also a 2.0-litre diesel with 184bhp that comes as standard with four-wheel drive and an automatic gearbox. 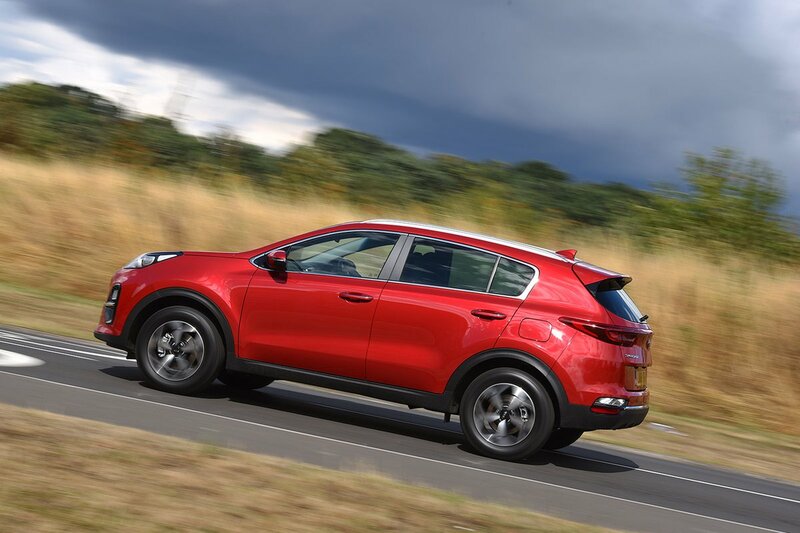 Not only does it have the highest towing capacity (1900kg) of the Sportage range, but it also benefits from mild hybrid technology. This improves fuel economy and emissions while helping to make the engine more flexible low in its rev range. And while the engine doesn’t feel as punchy as the 190 TDI of the Seat Ateca or Volkswagen Tiguan, it still pulls keenly from low engine speeds and is certainly fast enough for most people. We just wish it was a bit more responsive off the line; there’s a noticeable pause between putting your foot down and anything actually happening. If you want petrol power, there’s a choice of two 1.6-litre engines. The cheapest comes exclusively with front-wheel drive and a manual gearbox, but it doesn't have a turbocharger. If that doesn't sound like an issue, we're afraid that it jolly well is; this engine has no guts, you see, and needs revving vigorously to get it to move with any urgency. And, even then, you wouldn’t want to carry out an overtake with a full load on board. The more powerful turbocharged 1.6 T-GDi petrol is gutsier, especially at low revs, but it still needs revving harder than the diesels. You can have this engine with the standard six-speed manual or an optional seven-speed automatic gearbox. If you go for this engine, though, you’ll get four-wheel drive as standard. Performance is decent enough, but you have to work it harder than similarly powerful 2.0-litre petrols in rivals and it still isn’t as brisk. The Sportage has quite a sporty set-up compared to most of its rivals, and this does little for ride comfort. The car feels altogether firmer and choppier than others in the class, such as the Skoda Karoq and Nissan Qashqai. And although the ride is fairly planted on the motorway, it still fidgets at lower speeds. 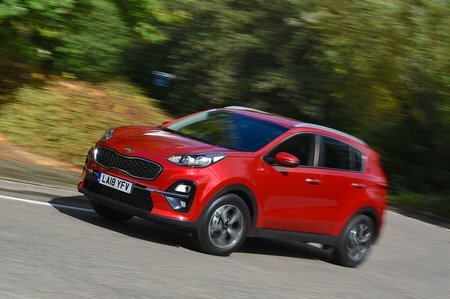 The ride never becomes too jarring, but the Sportage is certainly less settled than you'd ideally want a family SUV to be, even on relatively small 17in wheels. We'd recommend avoiding the 19in wheels fitted to higher trims as these make the ride even more jiggly, especially around town. 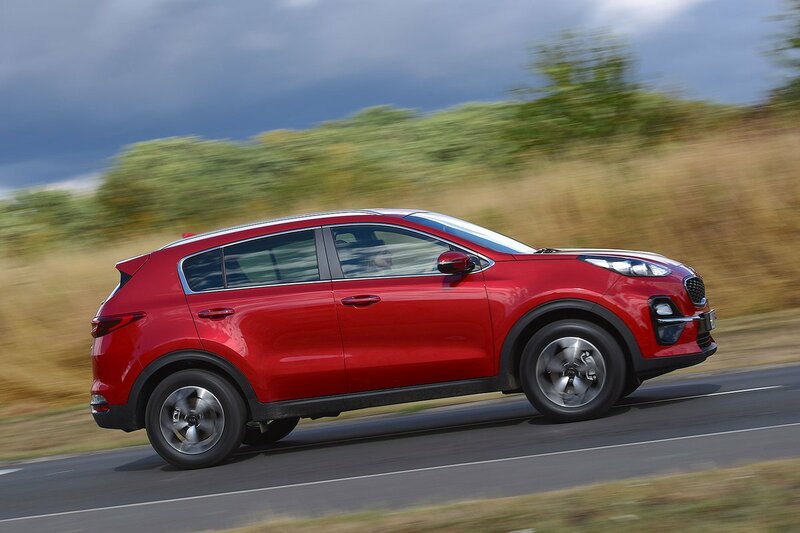 There’s little need for a family SUV to be especially sharp to drive, but it’s no bad thing that the Sportage keeps its body lean neatly controlled through bends. It certainly stays more upright than the Qashqai or Renault Kadjar, and it grips well, too. However, the Karoq and Ateca are even more agile. Sadly, the Sportage isn't much fun to drive quickly. The blame lies squarely with the steering, which doesn't tell you enough about what the front wheels are doing and feels decidedly leaden. To make matters worse, you’ll find yourself making loads of little corrections to keep it in a straight line on the motorway, too. So far, the only diesel we can comment on is the 2.0-litre unit. Although it isn’t quite as refined as the equivalent engines in the Karoq and Ateca, it’s still smooth. At a cruise, it’s barely audible and only ever gets coarse above 3000rpm. The eight-speed automatic gearbox changes gear with little interruption and is responsive on the move. The petrols are undoubtedly smoother than the diesels. However, they sound quite strained when you rev them, and that's something you'll need to do quite often, because even the turbocharged version feels a bit flat at low revs. At least you're relatively well isolated from road and wind noise, even if the Ateca is an even quieter cruiser. The manual gearbox is fine, but it has a longer throw and is less precise than those of the Ateca and Karoq.